I got to install the Raspberry Pi TV (rPiTV) on my Raspbian Raspberry Pi. rPiTV allows you to watch Youtube videos (and only that) on your TV screen. With your remote control (that's your smartphone), search the video you want to watch and then start/pause/resume/stop the video which will play on your TV. The rPiTV will first download the video on the SD card then play it with OMXPlayer. I made a slight adaptation to play the video in HD 720p (if available) in place of SD 380p. 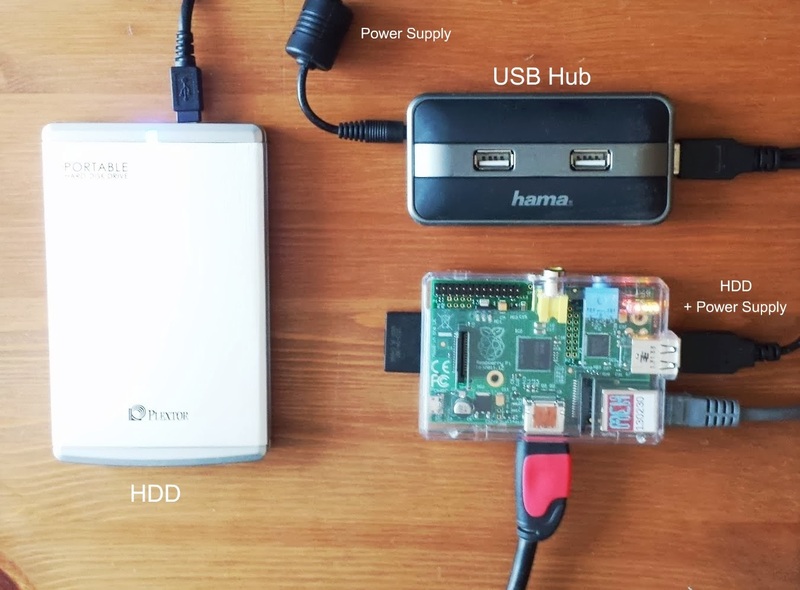 Remark: if you use the USB Hub power supply (5 VDC - 2.5 A) to power the HDD and the Raspberry Pi, then the native power supply (5 VDC - 1 A) is no more needed. 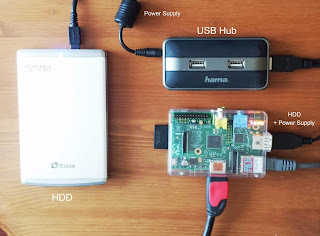 The Raspberry Pi with the three cables. 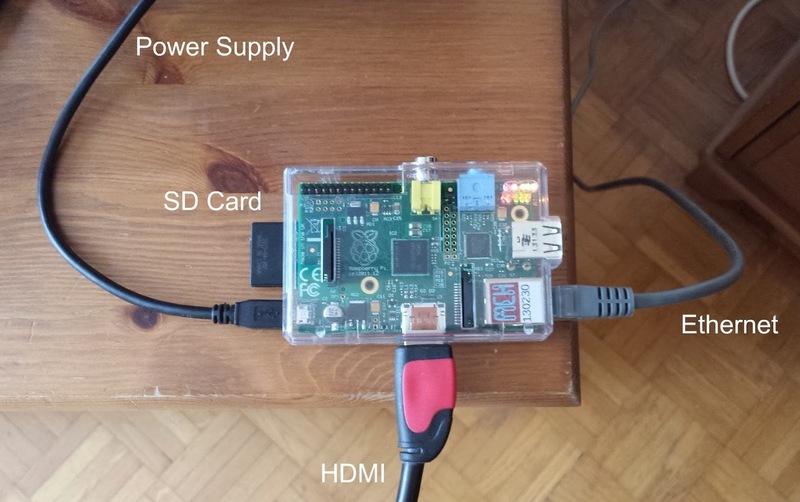 The Raspberry Pi and the TV. Raspbian on the TV screen. rPiTV on the TV screen. Youtube video playing on the TV screen. USB HDD (120 GB) and USB Hub added.